I was wondering how long this one was going to take and it didn’t take long for some Loony-Tune to blame the volcanic eruption in Iceland on that evil global warming. A Scientific American/Reuters article has this to say about that! A thaw of Iceland’s ice caps in coming decades caused by climate change may trigger more volcanic eruptions by removing a vast weight and freeing magma from deep below ground, scientists said on Friday. 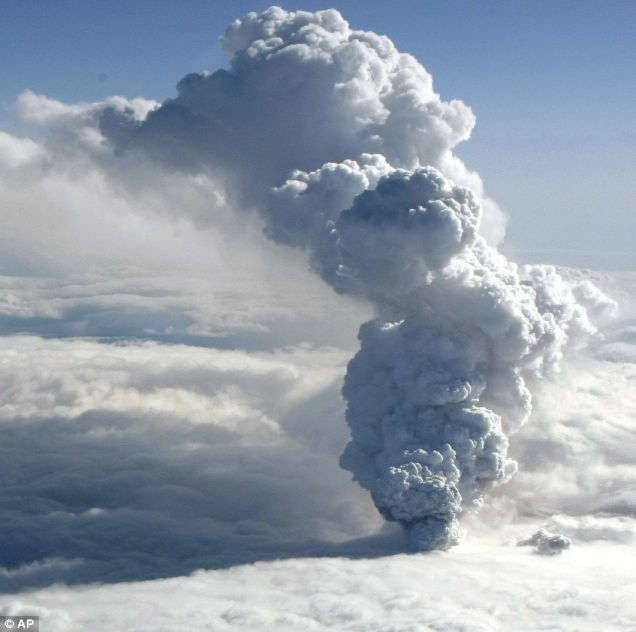 They said there was no sign that the current eruption from below the Eyjafjallajokull glacier that has paralysed flights over northern Europe was linked to global warming. The glacier is too small and light to affect local geology. “Our work suggests that eventually there will be either somewhat larger eruptions or more frequent eruptions in Iceland in coming decades,” said Freysteinn Sigmundsson, a volcanologist at the University of Iceland. “Global warming melts ice and this can influence magmatic systems,” he told Reuters. The end of the Ice Age 10,000 years ago coincided with a surge in volcanic activity in Iceland, apparently because huge ice caps thinned and the land rose. Then we again go back to..
Carolina Pagli, a geophysicist at the University of Leeds in England, said there were risks that climate change could also trigger volcanic eruptions or earthquakes in places such as Mount Erebus in Antarctica, the Aleutian islands of Alaska or Patagonia in South America. That report said that about 10 percent of Iceland’s biggest ice cap, Vatnajokull, has melted since 1890 and the land nearby was rising about 25 millimetres (0.98 inch) a year, bringing shifts in geological stresses. He said that melting ice seemed the main way in which climate change, blamed mainly on use of fossil fuels, could have knock-on effects on geology. The U.N. climate panel says that global warming will cause more floods, droughts and rising seas. OK,…I’m calling BS on this one. The last time this volcano erupted was 1821 to 1823. This is before the “warmers” claim anthropogenic global warming started. Before 1890 start of the melt. So what caused it? It certainly wasn’t man-made global warming was it? Add in the fact that the Little Ice Age didn’t end until about 1859, past the last eruption in 1823. So obviously the last time this blew there was plenty of glacial ice as it didn’t even begin to melt until 27 years or so later. Think it couldn’t have just been a pressure build of magma? Funny I don’t remember seeing any glaciers on Krakatoa yet it blew its stack, big time. I really want to know what they’re smoking in Iceland. Must be very good stuff! Must also cause schizophrenia.